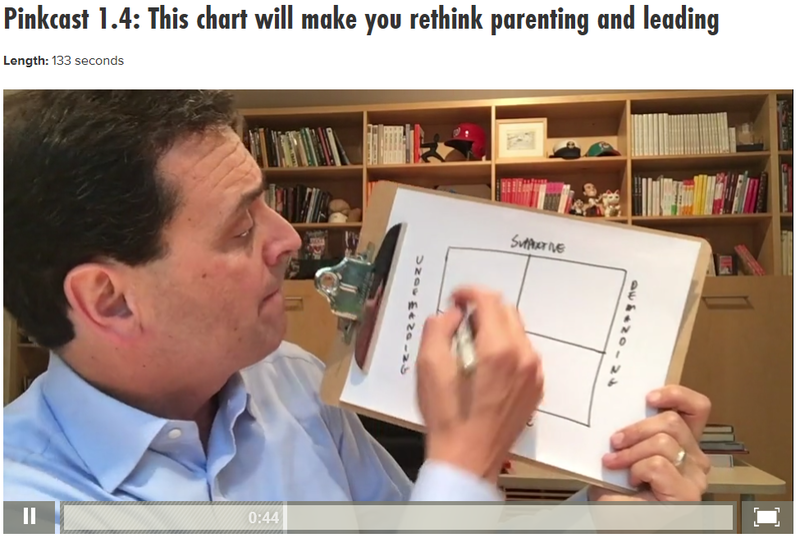 Click the image above to be taken to a great video post from Dan Pink where he shares a 2×2 matrix created by Angela Duckworth – the author of ‘Grit: The Power of Passion and Perseverance’ and shares how this thinking can be just as relevant to leading as to it is to parenting – the original context for the content. a leader who is supportive but not demanding – a permissive leader? 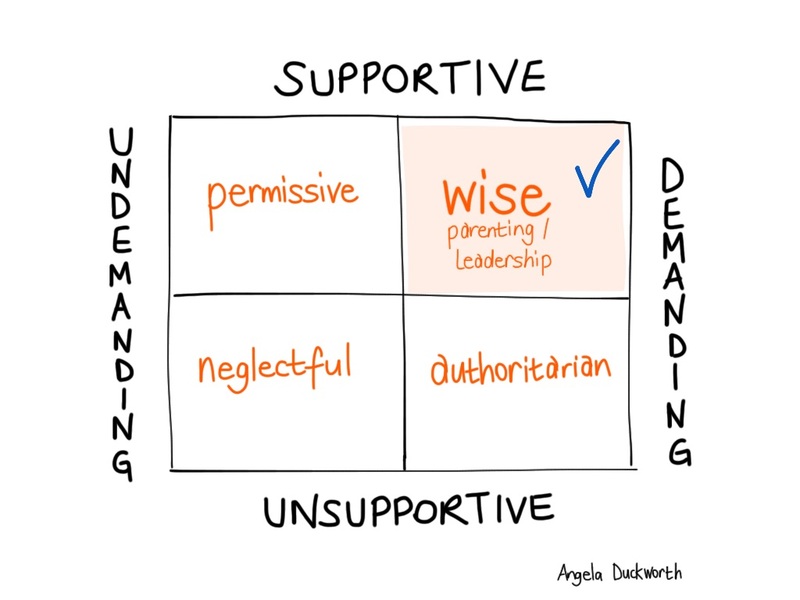 a leader who is unsupportive and undemanding – a neglectful leader? a leader who is demanding and unsupportive – an authoritarian leader? or a leader who is demanding and supportive – a wise choice?